We provide domestic and offshore production. Since 1971 Delta Precision Circuits has supplied quality circuit boards to customers throughout the country. Located in Chicago and with one steady/loyal customer, Delta was able to grow and flourish through the 70's, 80's and 90's. In 1996 Delta Precision Circuits received new ownership with a wealth of experience in both business and manufacturing of printed circuit boards. Almost immediately they started to make major changes. 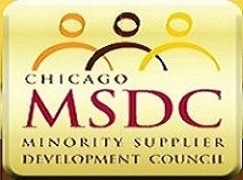 First and foremost, the decision was made to relocate to Elk Grove Village, IL. This new location with it's vast resources and healthy competition represented the ideal business setting for a manufacturer in the Midwest. In the new 33,000-sq.ft. facility, Delta Precision Circuits made upgrades to the equipment including state of the art etching, scoring, drilling and routing machinery. By continuously upgrading, adding equipment and introducing new technologies, Delta Precision Circuits remains your best source for PCB's. We continue to update our business strategies to remain competitive in the ever changing market place and this has insured our ability to fulfill our customer's current needs. A MANUFACTURER OF QUALITY PCB'S SINCE 1971. 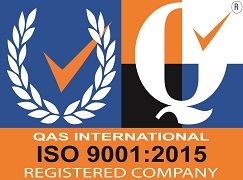 WE ARE COST COMPETITIVE, QUALTY DRIVEN WITH EXCEPTIONAL ONTIME DELIVERY AND SERVICE. 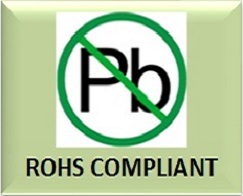 PLEASE CONSIDER INCLUDING US FOR YOUR POSITIVE PCB PURCHASING EXPERIENCE! LED Industry - We offer Metal Core - Aluminum or Copper PCB's. 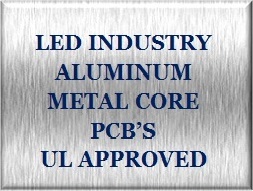 We are among the very few that have UL Approval for metal core boards. We also provide the perfect white mask that will not reduce to yellowish tint after the assembly process. With all of our recent improvements, experience and knowledge we can confidently manufacture any single-sided, double-sided and multi-layer board up to twelve layers. Our Pre-Engineering department is always ready to help you with questions regarding the manufacturability and design of your printed circuit boards. Help with cost minimizing options relative to board size/panelization are available at no extra charge. With our commitment to "On Time Delivery" you can rest assure that your circuit boards will be delivered on time. We can provide prototypes, quick-turns, and low to high volume production orders. Depending on the technology of the PCB, manufacturing lead times run about 10 working days from our facility in Elk Grove Village, IL. We can also quote offshore pricing as well. You can depend on great quality and delivery at a competitive price. Whatever your needs, Delta Precision Circuits can meet and in most cases exceed them!